An unleavened flatbread or now a days globally known as "Parantha" is one such food that requires no introduction. One global name, many different varieties to choose from, and hundreds of ways to indulge in. A staple dish in almost every North Indian kitchen and a delicacy in other parts of India. 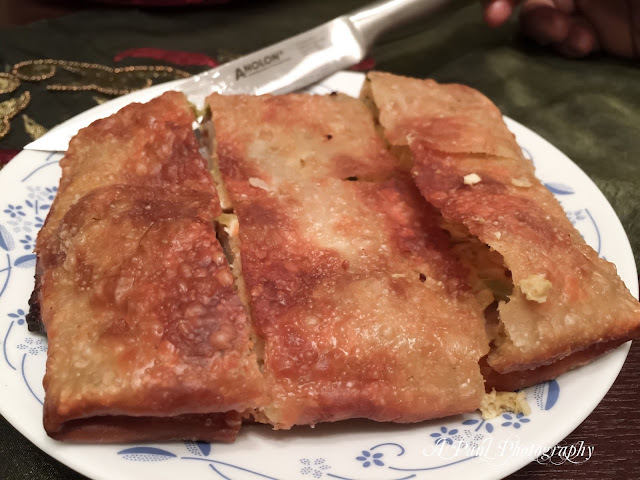 Growing-up in a North Indian family, Parathas are the first meal of the day. Mostly enjoyed as breakfast, I can have Paranthas in lunch, as an evening snack and sometimes for dinner too. Paranthas at my vegetarian home back in India, are mostly stuffed paranthas with endless stuffing options like minced cauliflower, crumbled cottage cheese, grated radish, mashed potato, finely chopped spinach or fresh fenugreek leaves or seasonal green veggies. 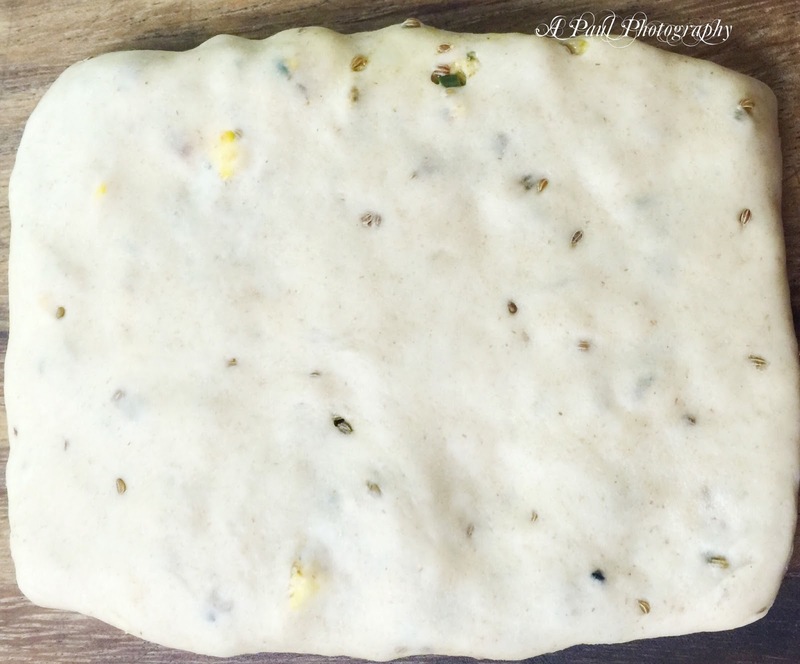 Somedays, its just the plain parantha with few ajwain seeds and a pinch of salt. Paranthas are mostly served with a side, which can be any dry seasonal vegetable or a cup of plain or flavored yogurt. My most favorite way of enjoying piping hot stuffed paranthas is with a large cup of hot masala tea and a knob of butter👻👻. 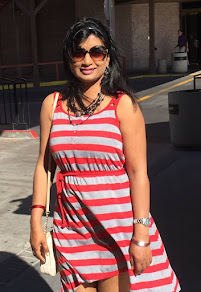 My love and knowledge for Parathas was limited to my Mom made heavy stuffed Paranthas, till I met this handsome Bengali guy, my darling husband now, who introduced me to a completely different East Indian cuisine. 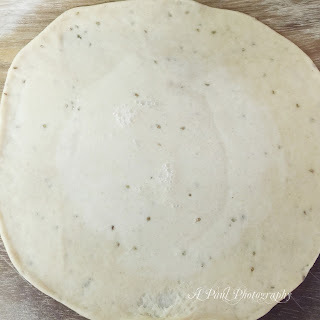 And Mughlai Parantha of Kolkata, was one such dish.. And soon after taking a bite, I realized why Bengalis, including my husband, are so crazy about it. According to him, the best taste of Mughlai Parantha can be found with the street food stalls put up during Durga Puja festival. I was lucky enough to enjoy this Mughlai Parantha during our visit to Kolkata during Puja times. 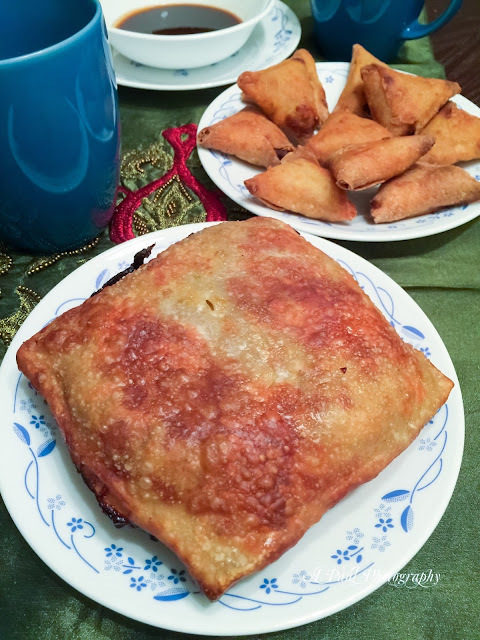 A packet of unleavened flatbread, stuffed with keema (minced meat) and then fortified with egg, shallow fried or sometimes deep fried in hot oil or ghee. Oh yes! you're not allowed to count calories while enjoying this small yet filling packet parantha. Never thought, will prepare one, but since I've always loved experimenting, so thrown a ball to give it a try. Above all my expectations, it came out real good. Crispy....Flaky...Perfectly cooked from inside. To be on safer side, I deep fried in a small cast iron wok, instead of shallow frying on nonstick pan. Yes of course, the procedure is long, and it requires pre preparation. 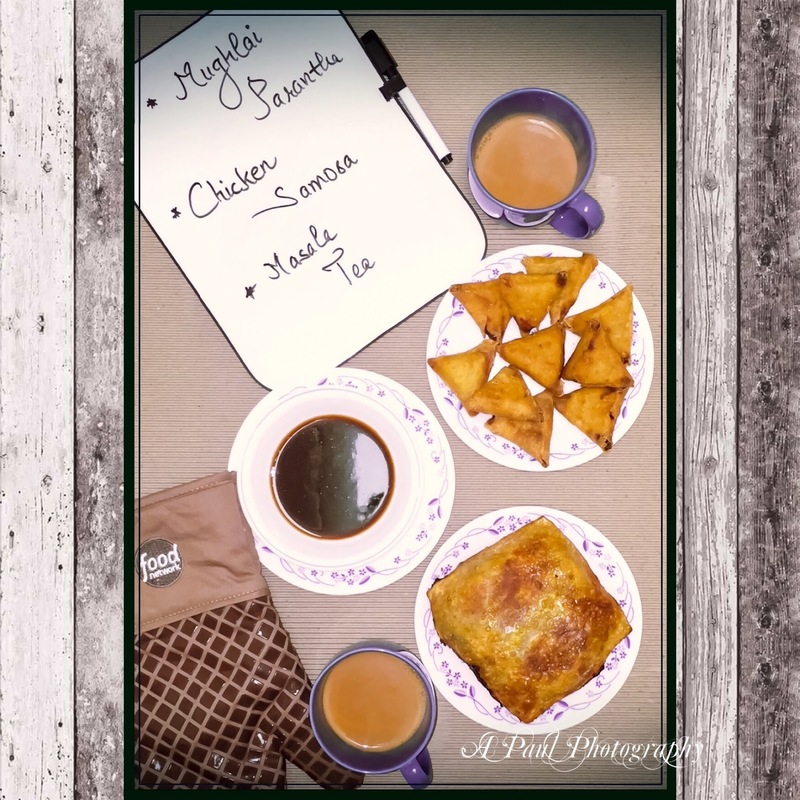 Planning in advance makes things easier and you can just focus on the Parantha. So I had prepared and cooked the minced meat a day before. Wash the minced meat (keema) in a steamer, keeping the bowl underneath. Later squeeze out the excess water. Heat one tablespoon oil in a pan, add chopped garlic. After a minute of sautéing, add chopped onions. Fry on medium-high heat for few minutes. Turn the heat to the maximum, add the minced meat (keema) and fry on high flame by stirring occasionally. Add the ginger paste, all the spices, green chillies, salt and keep frying it on high heat. Sift the flour, salt and baking powder in a bowl. Make a well in the center and add the oil. 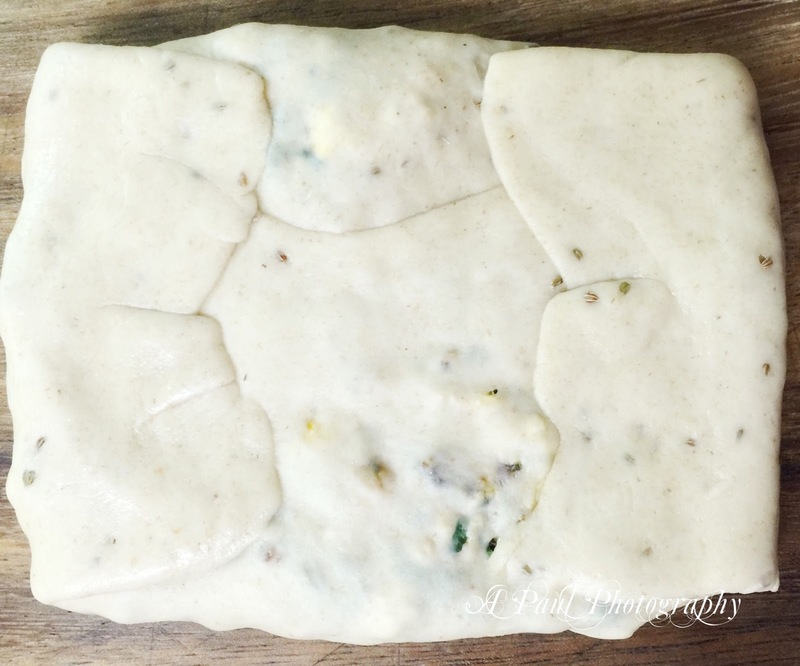 The dough should be soft and stretchy. To get the proper stretch, break the dough a few times using both the hands and knead again. In a bowl take egg one at a time and whisk it with a spoon of minced onion, ginger and chilies. Knead the prepared dough again for couple of minutes. Divide it into equal golf ball size sections. Take the ball, roll out thinly in a round or if possible square shape. Roll out as thin as possible but not paper thin, else it will not hold the stuffing well. The corners should be more thin. Spread a teaspoon of egg mixture evenly on to the paratha, leaving the edges. Place the minced meat filling in the center. Spread two more teaspoons of egg mixture on top evenly. Now gently fold the sides by overlapping each other so that the meat filling in the center gets completely covered. Press very gently at all the joints using fingers. It will look like a rectangular parcel. Heat a tablespoon of ghee on a thick bottomed frying pan ( For Parantha, I always prefer using ghee, so is here. You can use oil or butter) or 3 tablespoons of oil in a small wok, if deep frying. Place one paratha on heated ghee, folded side down first. Repeat the steps for all the remaining dough balls.